ALC Covers are especially developed for high speed machine tools. 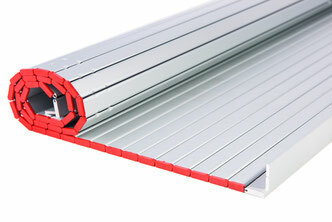 The extreme stable hollow aluminum profiles are quite light (8 kg/m²). For chip protection and a professional appearance, the surface is hard anodized. The polyurethane hinge is adequate for a high permissible tensile stress (90 Pa). 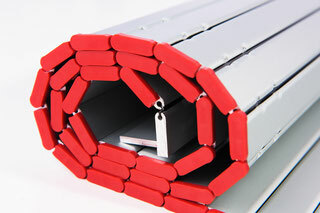 For very big covers (up to 6000 mm height) the internal strength of the aluminum profiles (335 Pa) will ensure the best properties during a long life cycle. 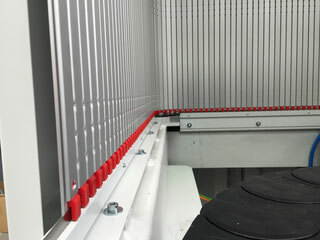 Available as single covers as well as integrated systems including guide tracks.